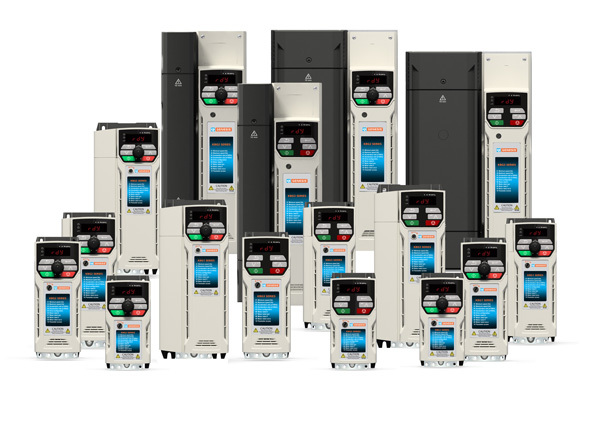 The newly released KBG AC drives from KB Electronics meet a broad spectrum of requirements. Conveyors, food and beverage systems, packaging, industrial fans and pumps will utilize the new KBG's state-of-the-art technology. Powerful features combined with KB's legendary ease-of-use, up to 30HP! Open loop vector option to provide full torque down to 1 Hz! The KBG1: Ideal for basic motor control, offering simplicity and ease of use while leveraging the technology of more complex drives. The KB2: Offers the freedom to connect with many of the common fieldbuses using the modular SI interface port. Integrated PLC is included at no extra cost. The KBG3: Provides a cost-effective safety solution. In an emergency, the dual Safe Torque Off (STO) feature stops the motor shaft from rotating while the drive remains connected to the power supply. All of the work is done inside the drive; no additional parts are required. Free Technical Support: Free lifetime telephone support with no service or support contract required. See the whole KBG line here! Since 1967, KB Electronics, Inc. has dedicated their self to manufacturing the best AC and DC drives. KB produces over 200 motor speed control models to serve the fractional to 30 horsepower market. KB's distribution includes over 800 distributor locations in 30 countries. The Company prides itself on being able to provide customization to its motor drive products, thereby allowing their customers to have solutions to their specific applications.